Things are getting interesting in Nevada now that that both state houses are Republican controlled. Many GLBTIQA Nevada’s had hopped following the 9th District Court of Appeals decision on same gender marriage SJR13 would move through the legislature and work on removing the discriminatory language from the states constitution. SJR13 will likely not even be considered and simply die, leaving the discriminatory language in the state constitution. But following the wave of “religious freedom acts” being passed across the nation, Nevada finds itself in that potential firestorm. In the State Senate, SB272 and in the State Assembly, AB277 (both bills contain the same language) was introduced in the Nevada legislature, which would prohibit state action from substantially burdening a person’s exercise of religion under certain circumstances (sponsored by Senator Joseph Hardy and Assemblyperson Erven Nelson, both of Clark County). The bills are a religious freedom act similar to the controversial bills approved in Indiana and Arkansas. Both those states had to send the bills back to the legislature to make them so they did not discriminate following a huge backlash. Now Seven Democratic State Senators and five Assembly Democrats have introduced SB192, which would revise provisions prohibiting certain discriminatory acts. This would negate any chance of discrimination again any Nevada citizen or tourist. 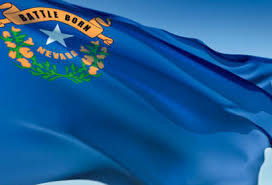 The bill protects the current anti-discrimination laws that exist in Nevada Revised Statutes. All three bills have been referred to Committee. The Senate bills have been sent to the Senate Committee on Judiciary and the Assembly Bill to the Assembly Committee on the Judiciary (Committee meeting times can be located on the Nevada Legislature website). Nevada is unique in that the state legislature meets in the old number year and only for 120 days. There are deadlines that have to be meet for bills to be considered. The first deadline is out of committee, which means the committee has heard, debated on, voted on and the bill sent on the respective house for further consideration. That deadline is April 10, a week away. Citizens can voice their opinions of bills on the state legislature website being in favor or against. Legislators do check what the public has to say. You can also directly connect with a state legislator via their state email address available on the legislature’s website. Committee meetings can be seen in person in Carson or in Las Vegas at the Grand Sawyer Building via teleconference. Most Committee meetings are available through the state legislature website via webcast. This on a continuing story, Articles will be published as the bills proceed.